Guimarães, E.F. &amp; Monteiro, D. (2010). Neotropical Piperaceae. Herbs (terrestrial, epiphytic or living on rocks) annual or perennial subshrubs or shrubs, less often lianas; aromatic, glabrous or with varied indumentum , frequently gland -dotted, with nodose stems. Leaves mostly alternate , sometimes opposite or whorled , simple , entire , sessile or petiolate , sometimes peltate , with variable size, shape and venation ; prophyll (in Piper) persistent or deciduous and commonly united with petiole . Inflorescence terminal , leaf-opposed or axillary , usually fleshy , pedunculate, racemose or more commonly spike -like, solitary, umbellate or paniculate, erect , pendent or recurved , variable in size, white, cream, green or sometimes rose or reddish; rachis smooth, papillate or villous . Flowers very small, bisexual (all New World species), withouth perianth , numerous, each subtended by a single peltate or subpeltate bract , variable in shape, glabrous or with an indumentum ; sessile or pedicellate; stamens 1-10, usually 2-6, arising near base of ovary with filaments free and generally short, anthers with 1, 2 or 4 thecae, laterally or apically dehiscent , deciduous after polinization; gynoecium with superior ovary , sessile or stipitate, with 1, 3 or 5 fused carpels, 1-locular with a single basal ovule , stigmas 1-5 sessile or stylose. Fruit a small berry or drupe , variously shaped, with a thin pericarp and sometimes hardened endocarp ; seed small, solitary, endosperm scanty, perisperm abundant; embryo very small. 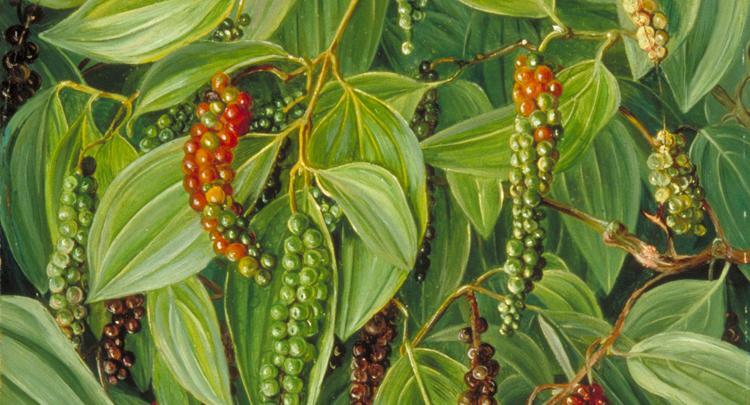 Piperaceae is placed in order the Piperales, one of the most species-rich and heterogeneous clades in the magnoliids, together with 4 families which also occur in the Neotropics: Saururaceae Rich. ex T. Lestib., Lactoridaceae Engl., Aristolochiaceae Juss. and Hydnoraceae C. Agardh. 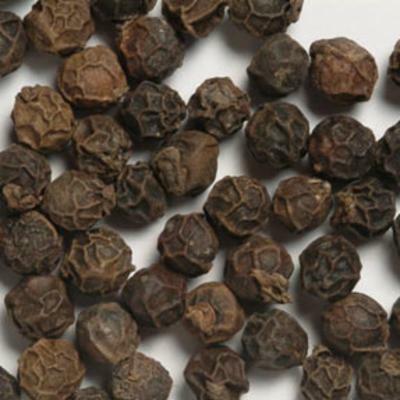 The family, considered sister of Saururaceae, includes about 3,000 species and has four genera distributed in two groups: Zippeliae consisting of Zippelia Blume and Manekia Trel., Pipereae comprising Piper L. and Peperomia Ruiz & Pav. The most detailed study of Peperomia (Dahlstedt 1900) divided the genus in nine subgenera and seven sections; however recent phylogenetic analyses only support the monophyly of two subgenera Micropiper and Shaerocarpidium (Samain et al. 2009). 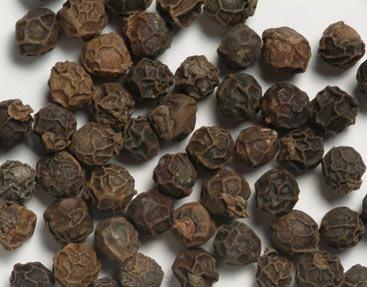 Some authors consider Peperomia and Manekia as a separate family - the Peperomiaceae, which also includes Verhuellia Miq. and Piperanthera DC. 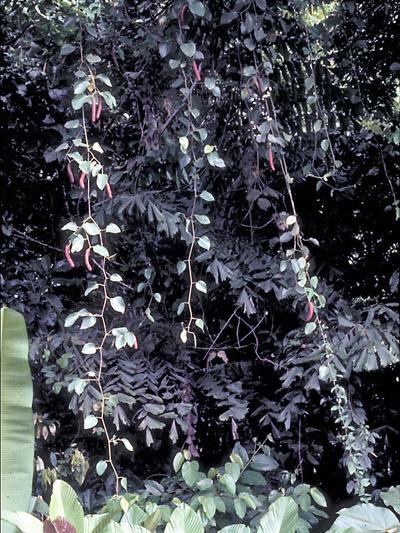 However, recent analyses show that Verhuellia is sister to all other Piperaceae (Wanke et al. 2007), that Manekia clearly is a separate genus (Arias et al. 2006) and that Piperanthera is synonymous with Peperomia (Wanke et al. 2006). Eight subgenenera of Piper are recognised in the Neotropics: Enckea Kunth (including Callianira Miq. and Arctottonia Trel. ), Macrostachys Miq. (including Hemipodium Miq. ), Ottonia Spreng., Peltobryon Klotzsch (including Trianaeopiper Trel. ), Pipers.s., Pothomorphe Miq., Radula Miq. (including Isophyllon Miq.) and Schilleria Kunth (Jaramillo et al. 2008). The species circumscription of the neotropical Piper species is still unclear. Many taxa were described without reference to their position within the genus; many were incompletely described and some of their characteristics not evaluated; others resemble each other morphologically and may turn out to be synonymous once a considerable number of binomials have been evaluated. Finally, phylogenetic studies based on morphological and molecular data are also needed. 3 genera: Manekia (ca. 4 species), Piper and Peperomia (the two largest of the family in number of representatives; both with about 1,500 species). 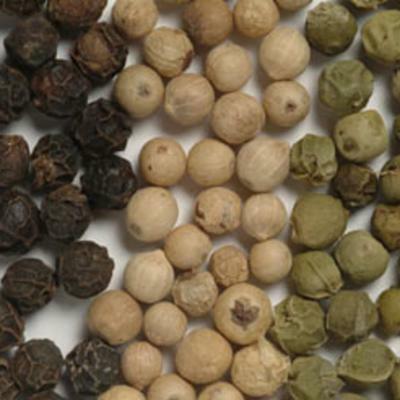 Many species of Piperaceae are rich in secondary metabolites, including alkaloids, amides, flavonoids and terpenes, having economic and medicinal importance: Pipernigrum L. (black pepper), Piper umbellatum L. (pariparoba) and Piper methysticum L. (kava-kava). Species of Peperomia are commonly used as ornamental house plants (Yuncker 1958; Milliken 1997). Generalist insects usually act as pollinators, being attracted by color and/or perfume, nectar or pollen (Figueiredo & Sazima 2000). Birds, bats and other animals help to spread the fruits (Yuncker 1958). Some species have interaction with ants (Tepe et al. 2007). Zippelia is a monotypic genus of Asian distribution, with floral morphology considered intermediate between Piperaceae and Saururaceae. This genus does not occur in the Neotropics. Some species are widespread but several are restricted to specific centres of diversity and each country has a large number of endemics. Manekia: Haiti, Lesser Antilles (Guadalupe, Dominica, Martinique and St. Vincent), Southern Nicaragua, Costa Rica, Panama, Colombia, Venezuela, Ecuador, northern Peru and Brazil (Atlantic forest), growing in primary and secondary forest, from sea level to 2,000m. Peperomia: pantropical with the greatest diversity occurring in the Neotropics; the species are mostly found in humid forested regions and few in dry areas. Piper: pantropical with the greatest diversity in the Neotropics; the species occur in various habitats but are best represented in lowland tropical rainforests, frequently in formations below 1,500m elevation and also commonly found in disturbed areas. Leaves opposite or whorled (Peperomia). Carpels 1 (Peperomia), 3 or 4 (5) fused (Piper and Manekia). Fruit a small berry or drupe. 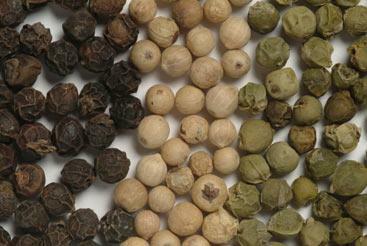 Vegetative parts with spicy-aromatic odour when crushed. Leaves usually alternate, always simple and entire. Inflorescences in spikes or racemes. Flowers minute, without perianth, subtended by a small, variable bract. Ovary unilocular, with a single basalovule. Saururaceae differs from Piperaceae by having (2-)3-4 distinct or fused carpels (vs. 1), if distinct then each carpel with 2-4 ovules, if fused then ovary 1-locular and each carpel with 6-13 ovules, placentation parietal (vs. basal), and fruit dry, schizocarp or apically dehiscentcapsule (vs. berry or drupe). Manekia: lianas or climbing shrubs, glabrous, sometimes with succulent stems. Leaves alternate, venationpalmate; petioles vaginate for their entire length. Inflorescences spikes usually axillary, occasionally terminal, solitary or paired. Stamens 2-4. Ovarysessile with 3-4(-5) fused carpels and 3-4(-5) sessile stigmas. Fruit laterally compressed, immersed and coalescent with the somewhat fleshyrachis at maturity. Peperomia: herbs erect, prostate, pendent or assurgent, usually succulent, terrestrial, rock-living or epiphytic. Leaves alternate, opposite or whorled, sometimes clustered near the apex, usually petiolate and often yellowish or black gland-dotted; venationpalmate, pinnate or plinerved. Inflorescenceaxillary, terminal or leaf-opposed, in spikes or racemes, solitary or paniculate. Stamens 2. Ovarysessile or stipitate, with 1 carpel and 1 apical or subapical stigma. Fruit in depression of the rachis or stipitate, commonly verrucose and viscid. Piper: shrubs, subshrubs, occasionally subherbaceous or small trees with nodose stems. Leaves alternate, sometimes scabrous and with the upper surface smooth, rugose or bullate and lacunose beneath, gland-dotted, petiole usually present; prophyll persisted or deciduous and commonly united with petiole; venationpalmate or pinnate. Inflorescence a solitary spike or raceme (subg. Ottonia) leaf-opposed or terminal, erect, pendent or recurved, occasionally compound with simple spikes borne in an umbellate cluster on an axillary stalk (sug. Pothomorphe). Stamens (1) 2-6, usually 4. Ovarysessile or stipitate, with 3-4 fused carpels and 3-4 sessile or stylose stigmas. Fruit in depression of the rachis or stipitate sometimes laterally compressed, glabrous or with trichomes. 1. Shrubs or small trees, sometimes lianas or climbing shrubs with alternate leaves; stamens 2-6; stigma s 3-5 ... 2. Arias, T., Posada, R.C. and Bornstein, A. 2006. 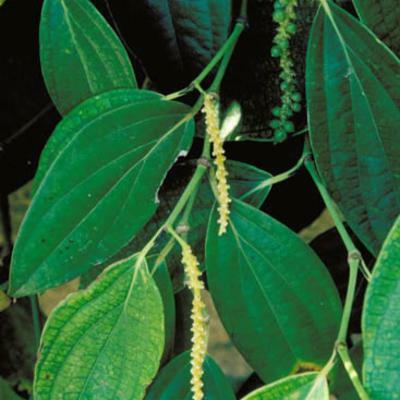 New combinations in Manekia, an eatlier name for Sarcorhachis (Piperaceae). Novon 16: 205-208. Bornstein, A.J. 1989. Taxonomic studies in the Piperaceae - I. The pedicellate pipers of México and Central América (Piper subg. Arctottonia). Journal of the Arnold Arboretum 70(1): 1-55. Burger, W.C. 1971. Piperaceae. In: Burger, W. (ed.). Flora Costaricensis. Fieldiana Botany 35: 5-227. Callejas, R. 1986. 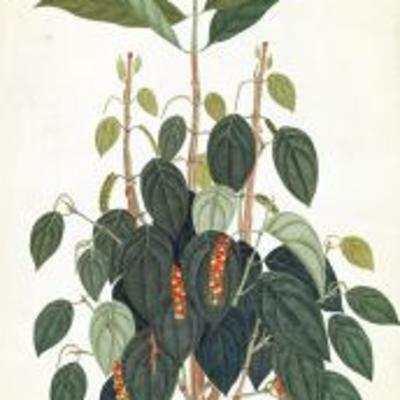 Taxomonic revision of Piper subgenus Ottonia (Piperaceae) (South America). Ph.D. thesis. City University of New York, New York. 512 p.
Callejas, R. 2001. Piperaceae. In: Stevens, W.D., Ulloa, C., Pool, A. and Montiel, O.M. (eds.). Flora de Nicaragua. Monographs in systematics botany from the Missouri Botanical Garden 85: 1928-1984. Dahlstedt, H. 1900. Studien uber Sud-und Central-Amerikanische Peperomien. Kungl. Svenska. Vetenskaps Akademiens Handlingar 33(2): 1-218. Figueiredo, R.A. and Sazima, M. 2000. Pollination Biology of Piperaceae species in Southeastern Brazil. Annals of Botany 85: 45-460. Guimarães, E.F. 2004. Piperaceae do Nordeste Brasileiro I: estado do Ceará. Rodriguésia 55(84): 21-46. Guimarães, E.F., Carvalho-Silva, M. and Cavalcanti, T.B. 2007. Piperaceae In: Rizzo, J.A. (eds.) Flora dos estados de Goiás e Tocantins. Coleção Rizzo 32. Goiânia, 66p. Guimarães, E.F., Ichaso, C.L.F. and Costa, C.G. 1978. Piperaceae - Ottonia, Sarcorhachis, Pothomorphe. In: Reitz, R. (ed. ), Flora Ilustrada Catarinense. Itajaí, 26p. Guimarães, E.F., Ichaso, C.L.F. and Costa, C.G. 1984. Piperaceae - Peperomia. In: Reitz, R. (ed. ), Flora ilustrada Catarinense. Itajaí, 112p. Guimarães, E.F. and Valente, M.C. 2001. Piperaceae - Piper. In: Reitz, R. (ed.). Flora Ilustrada Catarinense. Itajaí, 104p. Jaramillo, M.A., Manos, P.S. and Zimmer, E.A. 2004. Phylogenetic relationships of the perianthless Piperales: reconstructing the evolution of floral development. International Journal of Plant Sciences 165: 403-416. Jaramillo, M.A., Callejas, R., Davidson, C., Smith, J.F., Stevens, A.C. and Tepe, E.J. 2008. A Phylogeny of the Tropical Genus Piper Using ITS and the Chloroplast Intron psbJ-petA. Systematic Botany 33(4): 647-660. Milliken, W. 1997. 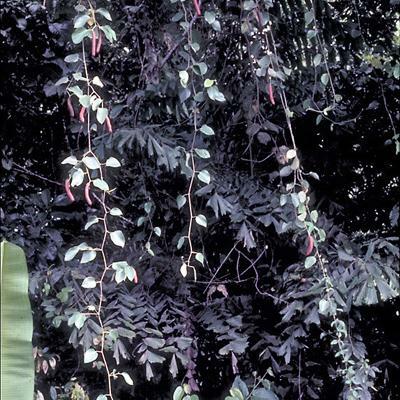 Plants for Malaria, Plants for Fever: Medicinal species in Latin America - a bibliographic survey. The Royal Botanic Gardens, 116 p.
Monteiro, D. and Guimarães, E.F. 2008. Flora do Parque Nacional do Itatiaia - Brasil: Peperomia (Piperaceae). Rodriguesia 59(1): 161-195. Monteiro, D. and Guimarães, E.F. 2009. Flora do Parque Nacional do Itatiaia - Brasil: Manekia e Piper (Piperaceae). Rodriguesia 60(4): 999-1024. Samain, M.S., Vanderschaeve, L., Chaerle, P., Goetghebeur, P., Neinhuis, C. and Wanke, S. 2009. Is morphology telling the truth about the evolution of the species rich genus Peperomia (Piperaceae)?. Plant Systematics and Evolution 278: 1-21. Tepe, E. J., Vincent, M.A. and Watson, L.E. 2007. Stem diversity, cauline domatia, and the evolution of ant-plant associations in Piper sect. Macrostachys (Piperaceae). American Journal of Botany 94: 1-11. Trelease, W. and Yuncker, T.G. 1950. The Piperaceae of northern South America. Vols. 1, 2. University of Illinois Press, Urbana. 837p. Wanke, S., Samain, M.S., Vanderschaeva, L., Mathieu, G., Goetghebeur, P. and Neinhuis, C. 2006. Phylogeny of the genus Peperomia (Piperaceae) inferred from the trnk/matk region (cpDNA). Plant Biology 8: 93-102. Wanke, S., Vanderschaeva, L., Mathieu, G., Neinhuis, C., Goetghebeur, P. and Samain, M.S. 2007. From forgotten taxon to a missing link? The position of the genus Verhuellia (Piperaceae) revealed by molecules. Annals of Botany 99: 1231-1238. Yuncker, T.G. 1950. Piperaceae. In: Woodson, R.E. and Schery, R.W. Flora of Panama, Annals of the Missouri botanical garden 37 (1): 1-120. Yunker, T.G. 1953. The Piperaceae of Argentina, Bolivia and Chile. Lilloa 27: 8-303. Yunker, T.G. 1957. Piperaceae. In: Pulle, A. (ed.). Flora of Suriname 1: 218-190. Royal Tropical Institute, Amsterdam. Yunker, T.G. 1958. 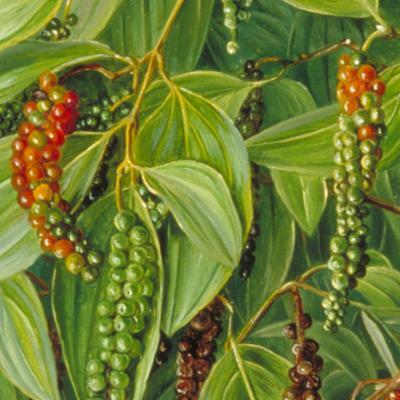 The Piperaceae - A family profile. Brittonia 10:1-7. Yunker, T.G. 1972. 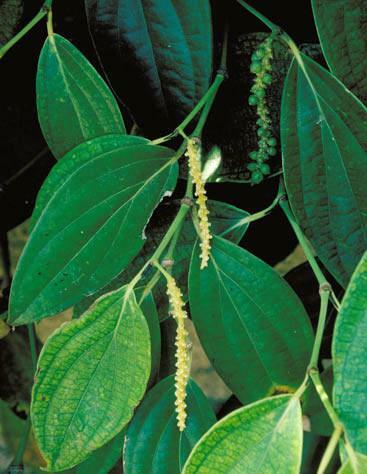 The Piperaceae of Brazil I - Piper: Group I, II, III, IV. Hoehnea 2: 19-366. Yunker, T.G. 1973. 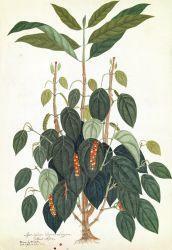 The Piperaceae of Brazil II - Piper: Grupo V; Ottonia; Pothomorphe; Sarcorhachis. Hoehnea 3: 29-284. Yunker, T.G. 1974. The Piperaceae of Brazil III - Peperomia; Taxa of uncertain status. Hoehnea 4: 71-413.